The credit dispute letter is a letter that you send to any or all of the credit bureaus when they have items on file that you don't agree with. It's a formal way to inform them that their information is incorrect, and they are legally required to act upon this information by conducting an investigation. They can verify the information, proving that it is indeed accurate, in which case it will remain on your credit report and have an impact on your credit score. 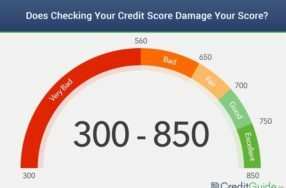 They can correct the item if it was partially accurate, they will edit it and the new record will remain on your credit report. Finally, if the item is completely false, they can remove it from your report altogether. You can file a credit dispute online, and you can also do it over the phone. The problem with both of these methods is that you don't have an actual, physical, hard copy of the communication. They just don't seem to be taken as seriously, and when you're writing a letter to dispute an item on your credit score, you definitely want to be taken seriously. The professionals don't use these methods, so that's saying something. 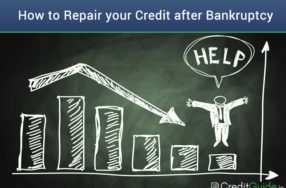 If you're already tackling the obstacle of handling the credit repair process on your own (which isn't always the best idea), at the very least you want to do it like the pros as much as possible. You can't just go in there guns a-blazin' and send a letter for every single item on your credit report. Also, you definitely don't want to accidentally request to remove something that turns out to be a positive, because that can cause your score to get worse instead of better, sometimes by a great deal. It's not always easy, but precision is very important. As for what you can remove from your credit report, the answer is anything. If it shows up there, it's possible to have it removed, under the right circumstances. Basically, if it's negative and not completely accurate, you can get it fixed or removed. It's up to the people who put it there to prove that it's accurate, and if they aren't able to do so, that is good news for you. Ultimately, the credit bureaus want their records to be as accurate as possible, otherwise they lose credibility, so it's not them that are your enemies. They will follow the procedures to ensure that anyone making claims against your credit report is doing so in a way that is both accurate and legal. If you aren't really sure, with absolute certainly, which items are positive and need to stay, and which items are negative and need to be removed, and how to submit the dispute correctly, you should really speak with a company that can do all of that for you. There are numerous excellent, experienced, and affordable services that can help you through the entire process. Remember: Please do a lot of research from numerous sources before deciding to send a credit dispute letter on your own. 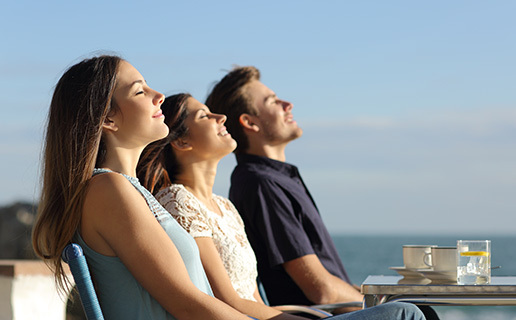 If you aren't 100% confidant that you understand all of the ins and outs, and the nuances, and the consequences of doing this incorrectly, we strongly urge you to connect with a company that offers free consultations so that you can learn more about the entire process, and if their help would be a good fit for you. We have reviewed all of the top brands, and you can find an overview on this page. We are not qualified to offer you legal advice and nothing on this site should be taken as legal advice. If you decide to go for it on your own, here are some very important guidelines that you need to keep in mind. Be friendly, yet professional. Don't approach this like they are your adversaries. The bureaus are going to investigate at your request, so avoid any hostile language, threats of lawsuits, or anything of that nature. It won't help you. Remember, the credit bureaus already know the laws very well, inside and out. Citing cases or telling them about the rules isn't going to help you in this case, either. You can include copies of documents that support your dispute. Don't send in the original documents, you need them for your records, just send in a photocopy. If your letter rambles on, or just doesn't seem professional, they are allowed to ignore it. It's the law that they have to investigate all disputes, except for frivolous ones. This is why it's so important to keep it short and professional, to ensure it's all done correctly, and to proof read it several times and make edits to ensure everything is perfect. Include two forms of ID, to prove who you are. Include a copy of your state ID, passport, or driver's license. Also include one of the following: W-2, a recent utility bill, a pay stub from your employer, or a photo of your SIN card. 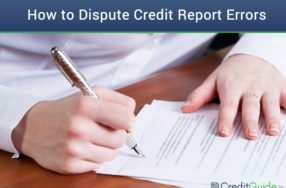 We can't emphasize enough that sometimes, the best thing you could do in regards to writing a credit dispute letter is simply not doing it yourself. It's not just about the letter and the nuances themselves, but also about selecting the right items to dispute, and getting it perfect the first time. This is where companies like Lexington Law, CreditRepair.com, Ovation, and others can help. Just remember, once this is all taken care of, it's such a huge weight lifted off your shoulders. We strongly encourage you to write this letter in your own words instead of just ripping-off the sample. It's just an example, to show you what one could look like, don't use this exact letter. Remember, you can actually make your score worse if you do this incorrectly, so definitely seek help from a professional if this feels overwhelming or you aren't prepared (or don't have time) to do the necessary research and learning that is involved. I am requested that you provide me with evidence which demonstrates that the account listed below does indeed belong on my credit report, and that my rights have not been rescinded. If no such record should exist, I am requesting to have have this damaging account removed from my credit report.